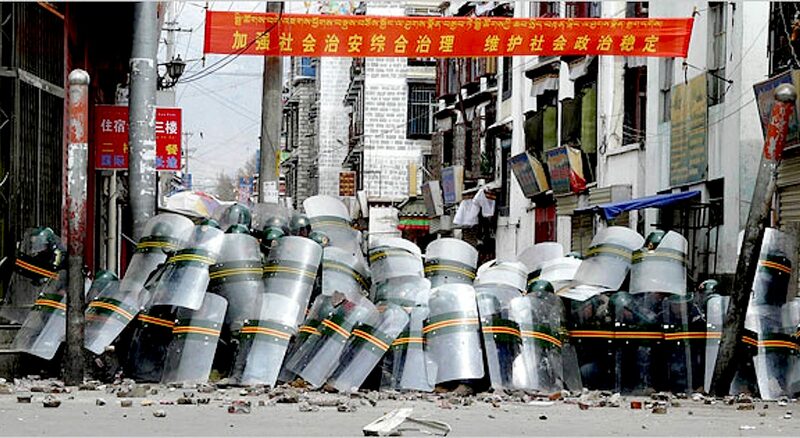 Chinese police shielding themselves from Tibetan missiles. Image: uprisingarchive.com. 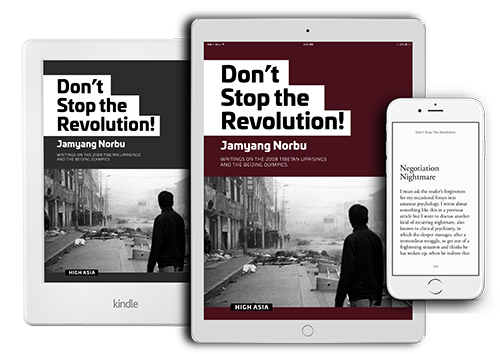 DON’T STOP THE REVOLUTION by Jamyang Norbu, High Asia, 2018. A Review by Dr. Warren W. Smith Jr. In his latest collection of writings Jamyang Norbu quotes from his 1993 article in which he predicted, as he has since “Sino-Tibetan Dialogue” was begun in the early 1980’s, that China would never negotiate the issue of Tibet. He was right then and he has continued to be right about it until the present time. 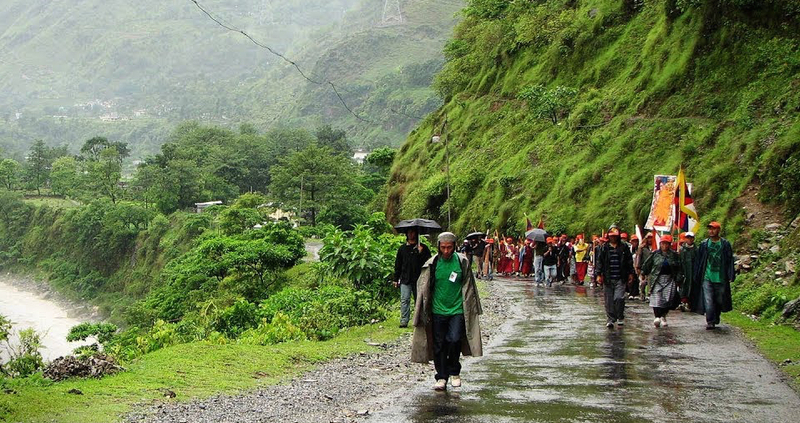 Nevertheless, Dharamshala has persisted in its futile quest for negotiations. The above quote is from an article, in a previously published collection, Shadow Tibet: Selected Writings 1989 to 2004. This was the second volume of his collected works, the first being Illusion and Reality: Essays on the Chinese Political Scene from 1978 to 1989. The third volume of his collected works is Don’t Stop the Revolution: Writings on the 2008 Uprisings and the Beijing Olympics. All of the articles in this collection were published in 2008 and most, but not all, deal with the events of that year. The title is from the first article in the collection, written in April 2008, in which he once again predicted that Beijing was insincere in its offer to negotiate. 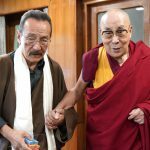 He describes Dharamshala’s attempt to control and manipulate the spontaneous uprising in 2008 so that the Chinese would not be offended and withdraw their offer to talk with Tibetan representatives. 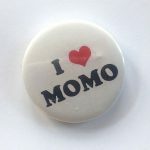 They had made the offer in the wake of the March uprising and international threats to boycott the opening ceremonies of the Beijing Olympics, scheduled to begin in August and, true to form, this offer had defused international criticism. As Norbu tells the story, five Tibetan exile organizations had united to create a “Tibetan People’s Uprising Movement” and threatened to march from Delhi to the Tibet. The Dalai Lama himself summoned the leaders of the five organizations and ordered them to discontinue their plans for the march. As soon as Beijing made its offer to talk with Dharamshala’s representatives, international leaders breathed a collective sigh of relief and then forgot about Tibet. Beijing met with the Tibetan delegation in July, after international leaders had dropped their boycott threats, and after China had received much sympathy because of an earthquake in Sichuan. The delegation came away with an understanding that Beijing had invited the Tibetan side to submit a proposal about what it meant by “genuine autonomy,” which they interpreted as meaning that Beijing was serious about negotiations. Dharamshala worked up a comprehensive proposal, “Memorandum on Tibetan Autonomy,” which was presented in a meeting in December, long after the Olympics and long after Beijing cared about placating any Tibetan interests. Although the Memorandum was comprehensive, rational and reasonable in its proposals, and in accord with China’s existing Regional Ethnic Autonomy system in all matters except the territory to which a unified system of autonomy should apply, it was scornfully rejected by the Chinese. In WAS IT VIOLENCE? 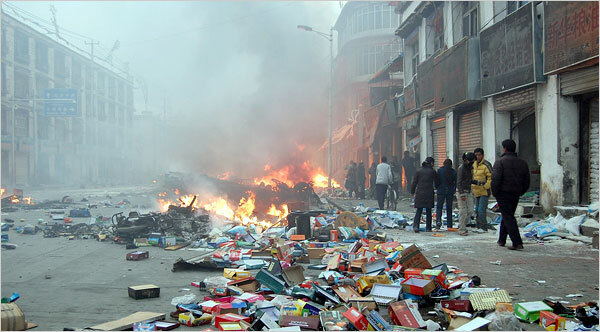 he challenges the condemnation by the Chinese and even some Tibetans for the rioting and burning of Chinese stores in Lhasa. In NURTURING THE EMBERS OF RANGZEN Norbu compares the preservation of the independence ideal to the struggle to keep the Buddhist faith alive after the collapse of the Tibetan Empire in the 9th Century. He maintains that the people of Tibet faithfully nurtured the embers of Rangzen even under intense Chinese repressive and assimilationist pressures until they burst into flame during the 2008 Uprising. He cites the slogans they chanted as well as the banned Tibetan flags they displayed as evidence that what the people were demanding was independence. In THE LONELINESS OF THE LONG DISTANCE BLOGGER he cites the Tibetan writer Woeser’s opinion that Beijing’s offer to talk with the exile representatives was nothing but a cynical ploy to silence international criticism before the Beijing Olympics. In “NEGOTIATION NIGHTMARE” he demonstrates how Beijing did indeed defuse international criticism by purportedly offering to talk with the Tibetan exile government and then failing to do so with any sincerity whatsoever, as had been the case numerous times in the past. He compares Dharamshala’s naiveté to that of the Peanuts comic strip character Charlie Brown who never fails to believe Lucy’s promise that she will not pull away the football as he tries to kick it, as she has done every time in the past, and then does so, leaving Charlie flat on his back once again. 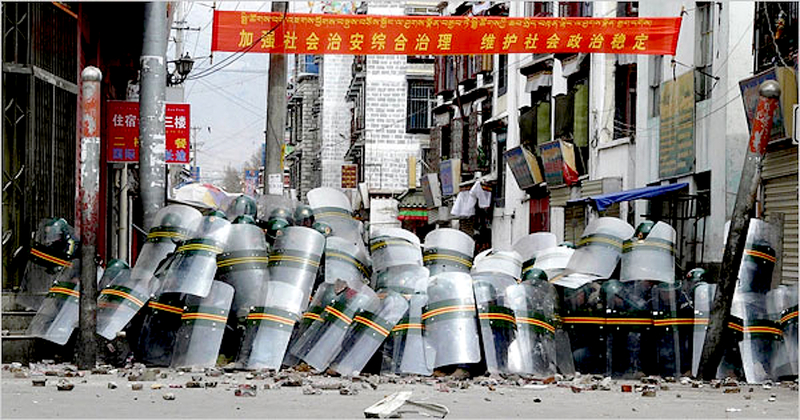 A LETTER FROM LHASA describes the atmosphere in early May. 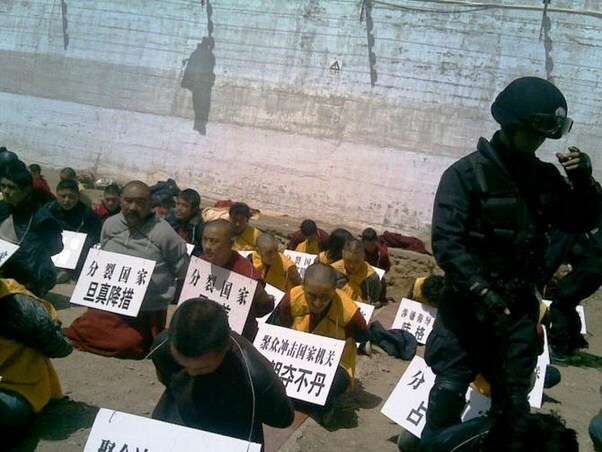 The anonymous letter writer reports that there was a large and oppressive military and police presence that miraculously disappeared for the three days that international journalists were allowed to visit Lhasa. He describes the nightly house searches for anyone who participated in the Uprising, the wholesale arrest and removal of almost all of the monks from Drepung, Sera and Ganden monasteries, the removal of all Tibetans from other parts of Tibet and the abuse and suffering of those Tibetans who had been arrested on suspicion of involvement in the Uprising and who now languished in prisons. 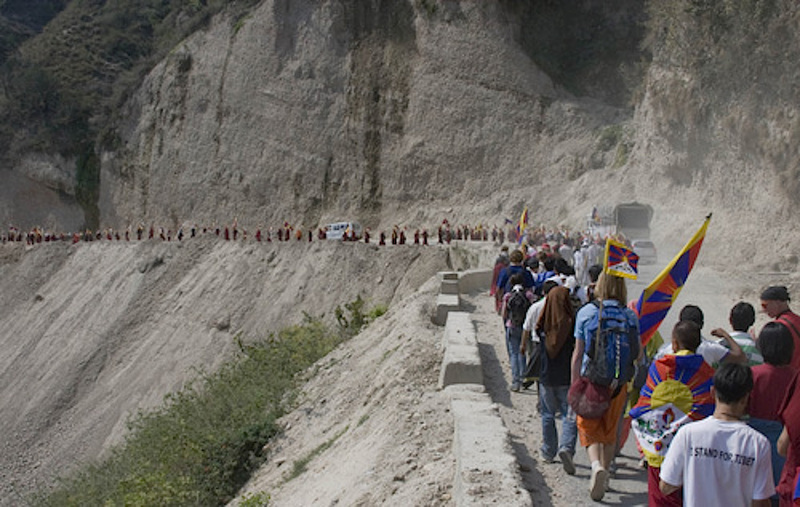 In KARMAPA AND THE CRANES Norbu questions Dharamshala’s policy of donating money to the Sichuan earthquake victims in order to impress the world and Beijing with Tibetan nonpartisan benevolence, while the actual result was the diversion of attention and sympathy from the ongoing situation in Tibet that included show trials of Tibetans accused of participating in the March Uprising. In BAREFOOT EXPERTS Norbu criticizes Western supporters of Tibet who parroted Dharamshala’s position that Tibetans only want “genuine autonomy” in spite of all the slogans shouted by the demonstrators for Tibetan independence and their waving of the Tibetan flag – the symbol of independence, not autonomy. 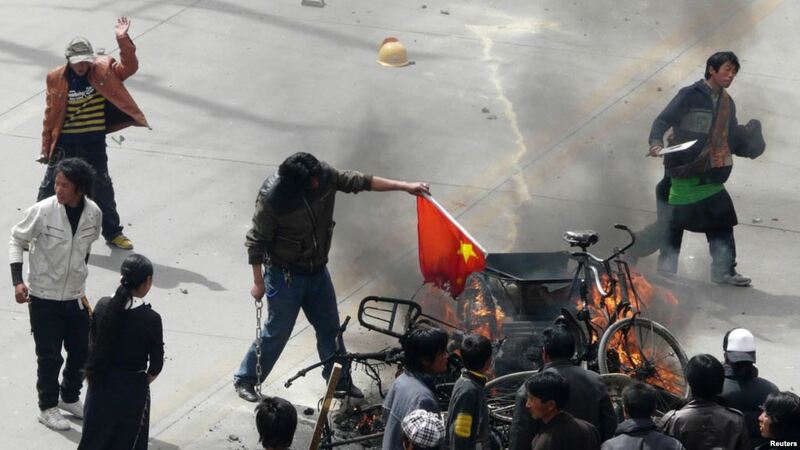 In IT’S NOT THE ECONOMY, STUPID, Norbu returns to the theme of how Tibetans refrained from looting Chinese shops in order to refute the theory that the uprising was about economic issues rather than the political issue of freedom from Chinese control. In THE LONG MARCH HOME he extols the symbolism of the “March to Tibet” by exile-activists and refutes the criticism that it was useless or futile. In RUNNING DOG PROPAGANDISTS he takes on those Western commentators on Tibet who go far beyond the repetition of Dharamshala’s position on “genuine autonomy”, and who actually parrot Beijing’s propaganda. A CELEBRATION OF LIES and TOASTING THE OLYMPICS WITH TOXIC MILK expose the deceptions and human rights abuses perpetrated during the Beijing Olympic Games. 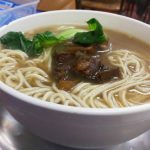 Not all of the articles in this collection are specifically about the Beijing Olympics. Several are about the Middle Way versus Rangzen policies. In “Making the November ‘Special Meeting Work” and “A Not So Special Meeting” he bemoans the opportunity lost when the “Special Meeting” announced to debate the way forward after Beijing had rejected the “Memorandum on Tibetan Autonomy.” While the meeting had been proposed by the Dalai Lama to be an open discussion of all possibilities, including, one might assume, an abandonment of the Middle Way Approach due to its obvious failure to produce any results, and an adoption of a Rangzen strategy, it devolved into a rigid adherence to the MWA and an intolerance of any alternatives. In “MIDDLE WAY METAMORPHOSIS” he reveals that China’s ostensible willingness to dialogue with the exile representatives had been nothing but a “wasting time,” or “prolonging” strategy, a strategy that it had finally abandoned when further talks with Dharamshala were rejected after the Olympics. At that final meeting the Chinese also denied that Deng Xiaoping had ever told Gyalo Thondup in 1979 that “anything but independence can be discussed,” with the implication that any degree of autonomy up to but not including independence could be discussed. Norbu also reprints his “RANGZEN CHARTER,” first published in 1999, in which he lays out all his arguments for Rangzen over the MWA. And “REMEMBERING THE FIRST RANGZEN MARCHER” recounts the life story of Taktser Rinpoche, a Rangzen proponent who never wavered from his belief that independence was necessary for Tibetan national and cultural survival. 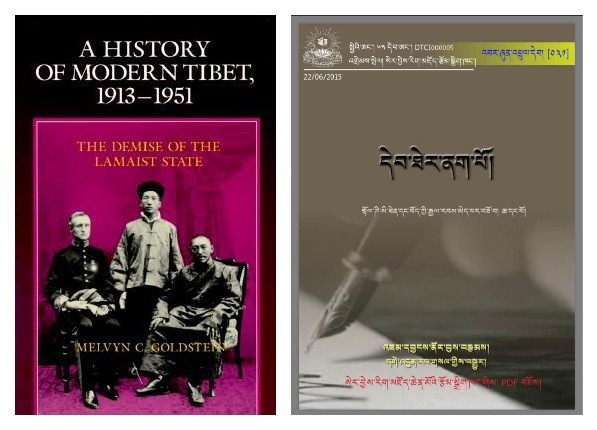 Left: Goldstein’s history, Right: Jamyang Norbu’s review “Black Annals” translasted by Gedun Rabsal and published in digital format by Sera Jhe Cultural Publications. Even the choice of a starting date, 1913, though apparently logical, reveals a subtle bias. This choice of date plays into a theory that “modern Tibet” dates only from the beginning of the British involvement in Tibet and owes something to British influence: “One of the dominant theories of modern Tibetan history maintained by pro-Chinese or leftist historians is that the concept of an independent Tibetan nation state came about at the beginning of the twentieth century largely as a creation, a ‘construct,’ of British imperialist design …” Norbu maintains that Tibetan nationalism was a natural phenomenon that predated British influence and that owes as much to Tibetan resistance to both British and Chinese imperialism against Tibet as to the later British support for Tibet against China. With these and other examples Norbu exposes what he claims is a leftist bias in Goldstein’s history that compromises the credibility of his account. I confess that I could not see this bias, even upon a second reading of Goldstein’s book, until it was so convincingly pointed out to me, but that seems obvious now. Only by equaling and exceeding Goldstein in the impressiveness of his research has Norbu been able to expose and correct Goldstein’s biases. Goldstein has written a further two volumes of his history, on the 1950s, and plans a fourth volume. 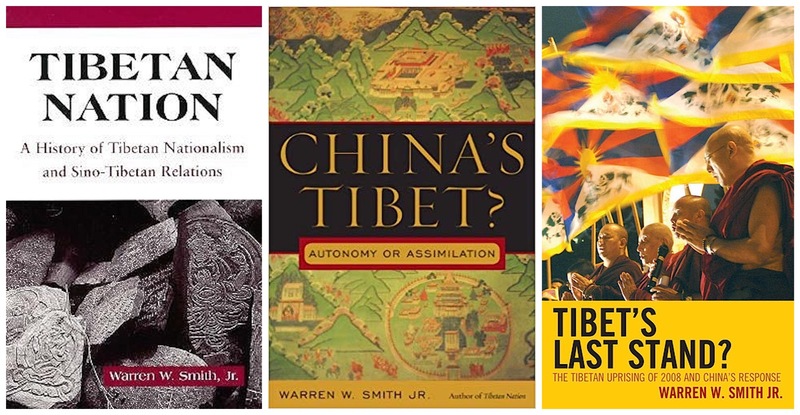 The more recent volumes are also impressive achievements on the history of Tibet, of the very important period of the 1950s, but we will have to wait for Norbu to point out Goldstein’s mistakes. This collection has been made available in ebook format and will also eventually appear in print form. (Go to “Store” to buy and download this and other titles by Jamyang Norbu) It must be emphasized that this 285 page, book length collection is from only one year, 2008, now 10 years ago. We await the appearance of Norbu’s collected writings from the following years. Jamyang Norbu has established himself as the foremost writer in English on Tibetan history and politics. I have previously compared him, favorably, to George Orwell; perhaps he is the Tibetan Orwell. I cannot heap any more praise on him than that. Suffice it to say that once all his writings are available they will consist of a Collected Works comparable to, but far more credible than, those of Lenin, Stalin and Mao, who inflicted so much suffering on Tibetans and many other peoples, and whose perverted thoughts and utopian theories Norbu has done so much to refute.